The Footy class are a worldwide class designed to be 1 foot long overall. Designed to take standard 2 channel radio controls the 507 assembles into a easy to transport and well behaved little boat. Choose to paint the white hull or add grahics and you have a really special little boat. 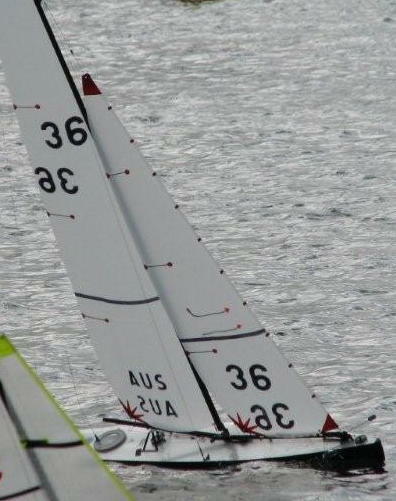 Optional Carbon Fibre Keel fin also available. For more info join the Yahoo 507 Forum. To read the manual click here.